Manufacturer of a wide range of products which include single panel door. Being a manufacturer, exporter and supplier, we are occupied in offering fine quality Single Panel Doors. These products show the ideal mixture of traditional and contemporary designs. With the team of specialist craftsmen, we attempt the realize the designs of the customers into the wood. Our doors are provided with good fittings and they can offer maximum protection to the clients. 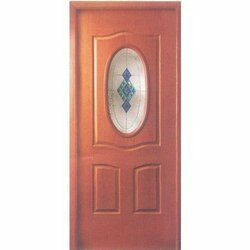 Looking for Single Panel Door ?